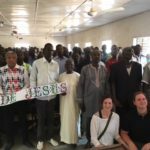 Relationships between Christian churches in Chad is very important since it is a minority religion (10% of Chadians are Protestants). 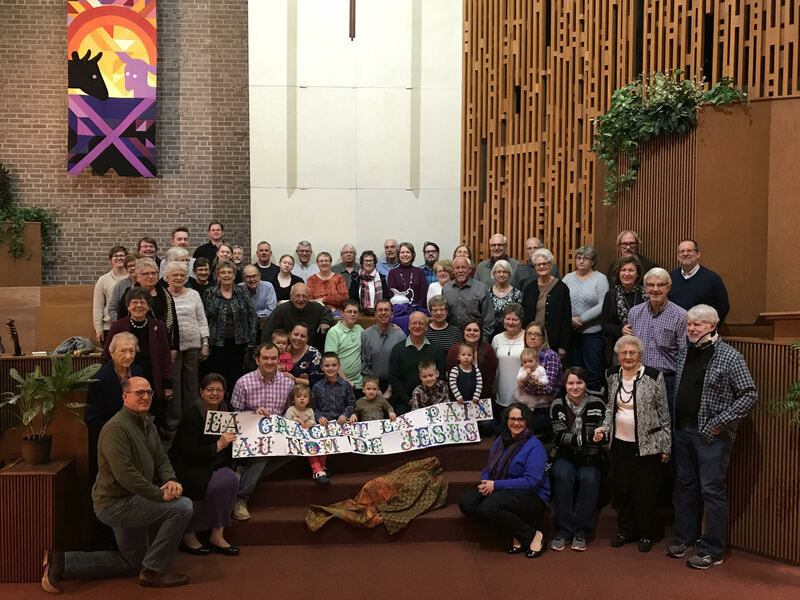 Each Sunday in worship, greetings will be heard from other congregations. 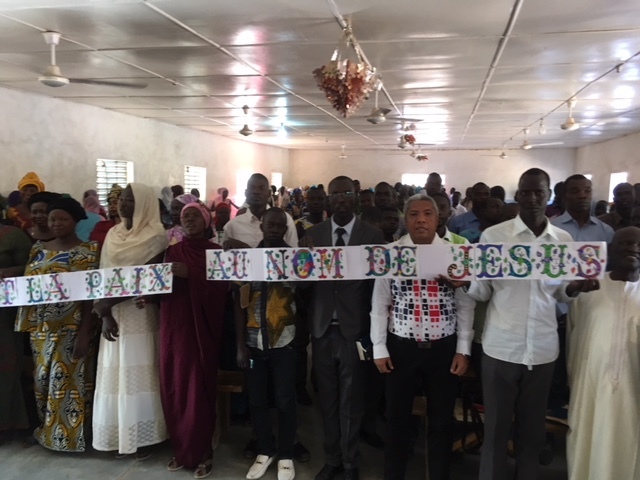 The visiting person stands up and says, “The church in ____ sends you greetings in the name of Jesus.” In this spirit, our church, First Mennonite Church in Hillsboro, Kansas sent greetings to this church, Evangelical Church of Chad in Mongo, with the French words which were colored by our children here at FMC. 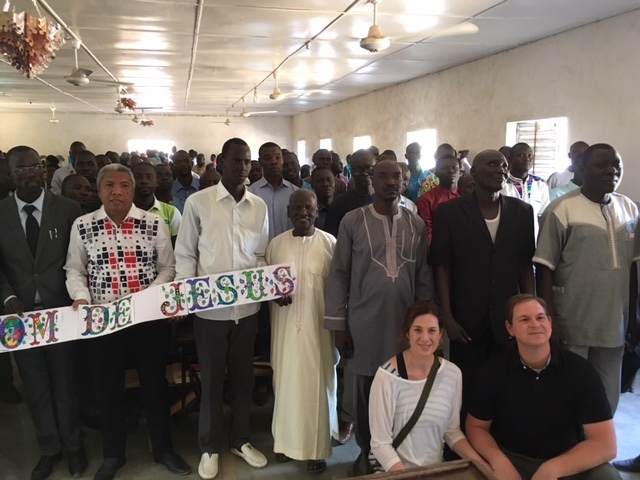 The words say, “Grace and Peace in the name of Jesus.” In so many ways, the wonderful people of this Mongo church sent greetings to us as a congregation. 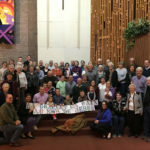 They will be praying for us. 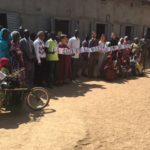 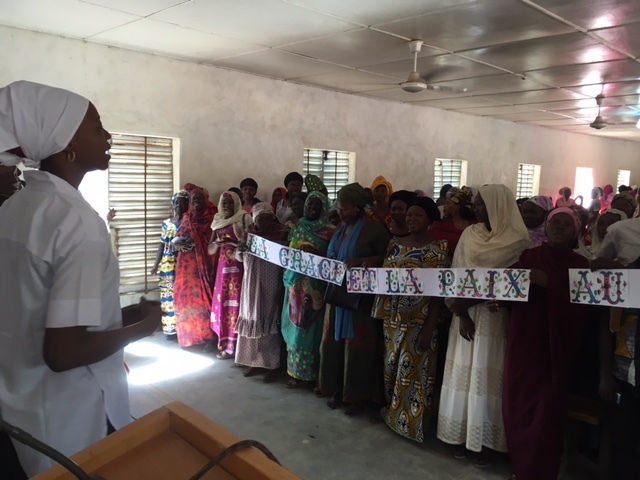 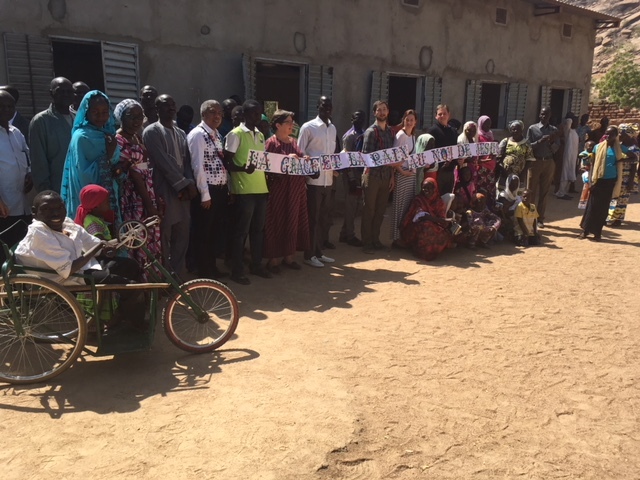 Here is our FMC greeting, in Mongo, Evangelical Church of Chad. 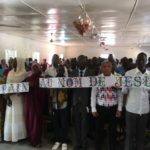 Eglise Evangelique du Tchad (EET). 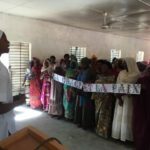 This congregation greets us and prayed for us as well.